Remove the pop-up timer from the No Name® Original Salmon. Cut the Salmon in half lengthwise. Wrap one strip of bacon around each lengthwise cut of salmon. Put the skewer through the length of each piece of salmon. Mix the stir fry sauce with the Mirin. Brush this mixture over the bacon and covered salmon. 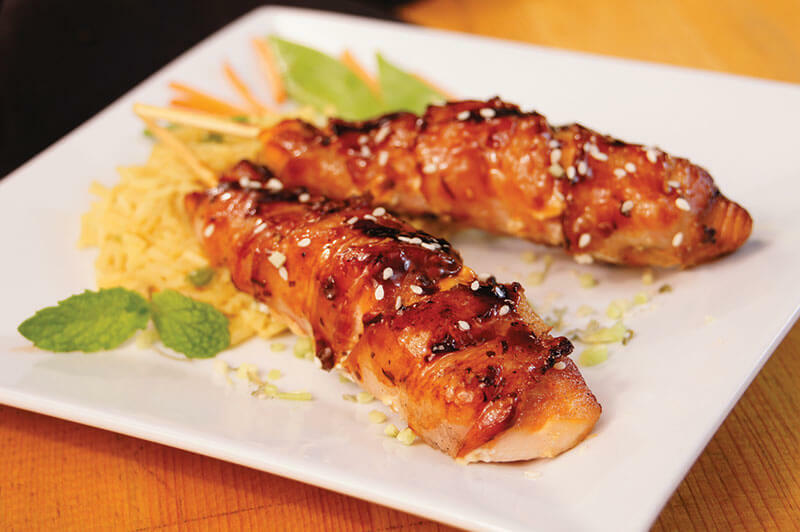 Grill the bacon wrapped salmon skewers for 7-8 minutes or until the bacon starts to get crispy and the salmon is cooked through.